THIS IS MOSTLY FACETIOUS. – Hello? I Forgot My Mantra. Published on August 1, 2013 by i forgot my mantra. Earlier this week, I referenced an event that would totally change my life. I was talking about picking up my new nightguard at the dentist. That is the state of my life these days. 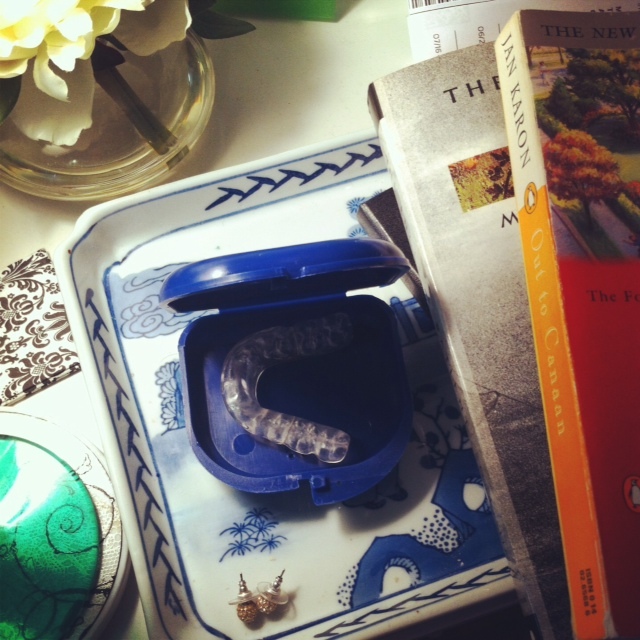 It has been two days and I’m still adjusting to basically sleeping with an oversized retainer. And while it hasn’t completely changed my life overnight–I keep hope alive that my migraines will subside and that the vertical wrinkle between my eyes will no longer be there when I wake in the morning because of the intensity with which I grind my teeth. Previous LAST WEEK I POSTED ABOUT JESSIE AND THE RIPPERS.